Senior Jacob Rosales poses with his Face-Palmer sweatshirt that reads “Finding Fault is Easy.” Courtesy of Jacob Rosales. The Sonoma State Music Department has been recognized recently after two students, Jacob Rosales and Claudia Torres, created a movement to encourage others called the Face-Palmer movement. The movement focuses on understanding each others differences and working towards creating a more healthy, comfortable environment for those in the department and at the school. Rosales is a fourth year student at Sonoma State, and created the movement because he felt that he was not growing in the department. The name and logo of the movement was designed after a photo of the music department chair, John Palmer, who is relaxed with a hand placed on his face. The Face-Palmer movement is aimed towards looking through different perspectives and focusing on the similarities we have with the people around us. “We can help each other in areas we are not good at; if we are able to look past it, we are able to help each other grow,” Rosales says. 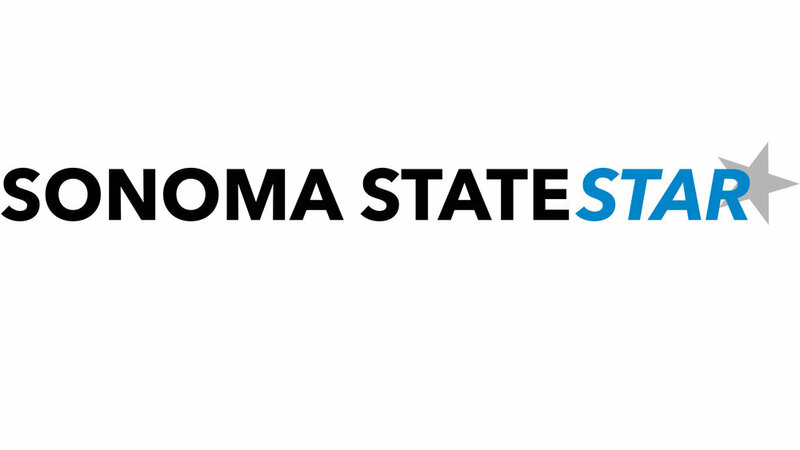 He states that this movement is geared towards current students, but also future students as well, since they should not feel uncomfortable or out of place once they move to Sonoma State. He wanted to start with a change in the department itself, and then soon spread to those around campus. Rosales hopes that this will continue on at the university in the coming years, as he plans to spread this message in his life after he graduates as well. He is happy with it starting at the school, and then possibly spreading out to others in the community. Rosales created the movement along with the help of his friend and fellow Music major, Claudia Torres, who is a third year student at Sonoma State. Torres says that she saw an underlying divide in the Music Department, and this movement could improve the collaborations with recitals and other events. Torres felt she did not really have anyone show her the ropes when she started at Sonoma State, so this movement could help students who may not feel as though they are included. She has already noticed a change throughout the department, simply between interactions of students and the different aspects of the performances. “There were more music department kids hanging out and bonding more, it was humbling and really great to see,” Torres said. She would like all students, including transfer students, to feel as though they are included in the department and to feel as though other students will have their back. The overall message that the Face-Palmer movement is giving is to spread positivity to one another, and focus on community and the relationships built in the department and at Sonoma State. It is aimed to help others grow in the Music Department and help them to feel more confident about who they are and their music. The Face-Palmer movement also has a website that includes merchandise such as clothing and other information regarding the movement. The website is jarofmusic.com, where there are many items for sale such as different hats and sweatshirts with the printed logo on the front. The movement has already made an impact on the Music Department, and both Rosales and Torres hope to see the movement make a change out in society as well.